Do Bed Bugs Fly & Do They Have Wings? Can Bed Bugs Fly & Do They Have Wings? Bed bugs are back, but have they ever been able to fly? Whether you live in a large urban area or you’re just visiting, you’re now more likely to encounter them than you were at most points over the last fifty years. While bed bugs aren’t dangerous, they are annoying. Moreover, it’s simple to spread a bed bug infestation because they’re easy to move and hard to kill. How do bed bugs get around so easily? Let’s find out. Do Any Species of Bed Bugs Fly? 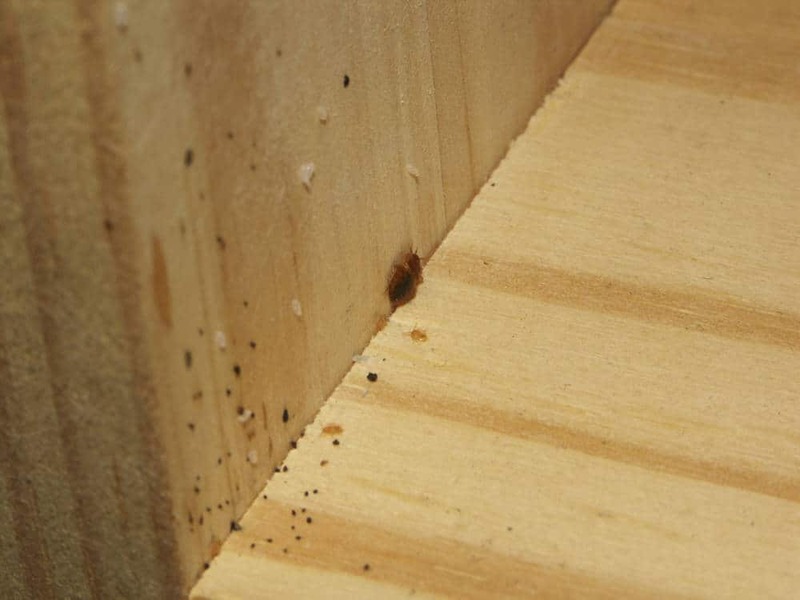 Bed bugs are easily spread from room to room, house to house, and even building to building. Yet how do such tiny insects make such vast journeys? One of the most common bed bug myths is the myth of flight. Many people with a fear of bugs, are afraid of the idea of bed bugs flying in and around their home. There’s only one problem with this myth: bed bugs don’t have wings. Like fleas, bed bugs are equipped with legs only. Therefore, their only method of travel – at least on their own – is to crawl from place to place. 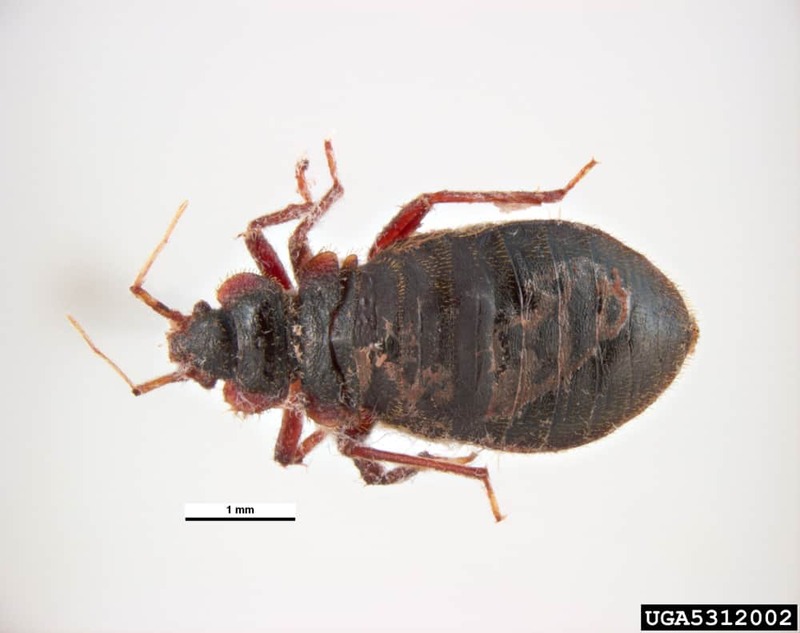 There is only one species of bed bug – the cimex lectalrius. As they don’t have wings, the only way they could fly is on an airplane. There are comparable species out there. 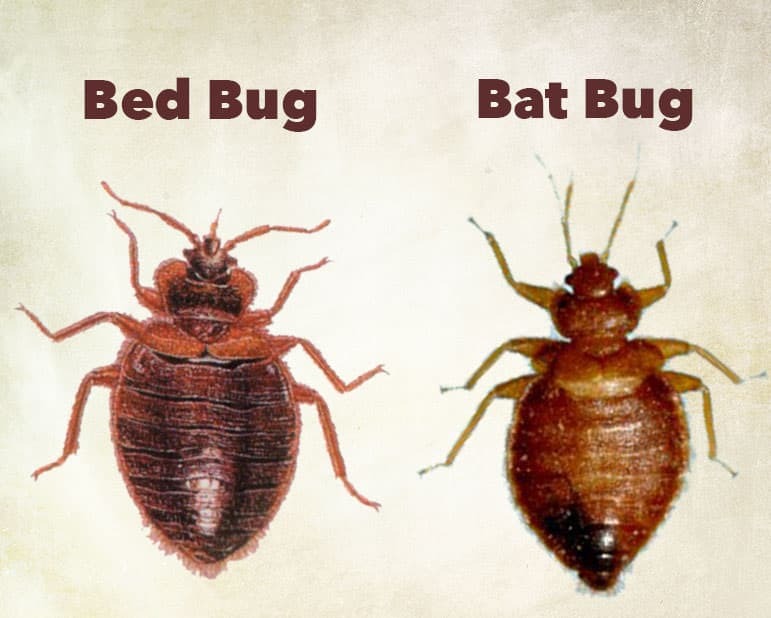 The bat bug, swallow bug, lice, and carpet beetles are all similar species to the bed bug. Although, none of them have wings either. If there is a bug flying around your room, then it is not a bed bug. It might be a common house fly or even one of the few species of earwigs that fly. However, these should be easily discernible. Bed bugs are insects with six little legs designed to scurry across floors and walls. There is nothing stopping bed bugs from climbing your walls up to the ceiling in order to drop on your bed from there. It likely has happened to someone out there. However, this method is a very ineffective way of getting to their next meal. Firstly, climbing the ceiling and dropping requires travelling further than simply crawling up the bed. Secondly, in many cases, bed bugs live in/on/around the mattress, so there’s little reason for them not to crawl out of their mattress and straight onto you. Crawling to the ceiling would be a massive and perilous detour. Some people believe these infestations spread because bed bugs are able to jump like fleas. 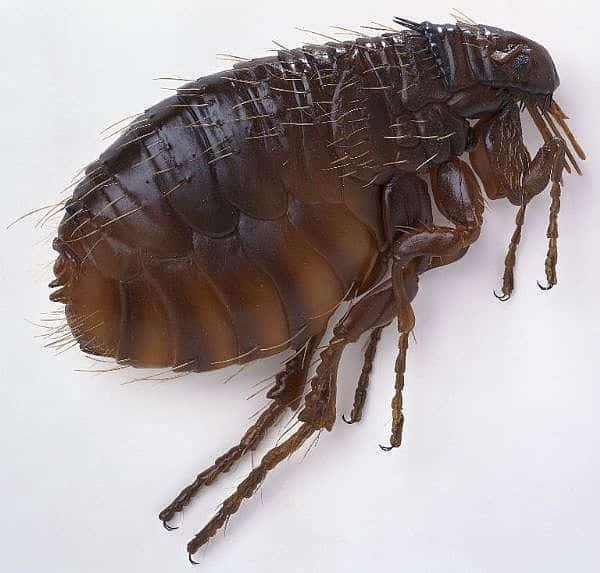 On the contrary, while fleas can use their legs to catapult themselves great distances, bed bugs don’t have that power. The truth of the matter is simple. If a bed bug wants to feed, find somewhere quiet to lay eggs or escape a poor habitat, it has only one option: crawling at a very slow pace. At a pace of a meter a minute, it’s clear that an army of bed bugs isn’t going anywhere anytime soon. 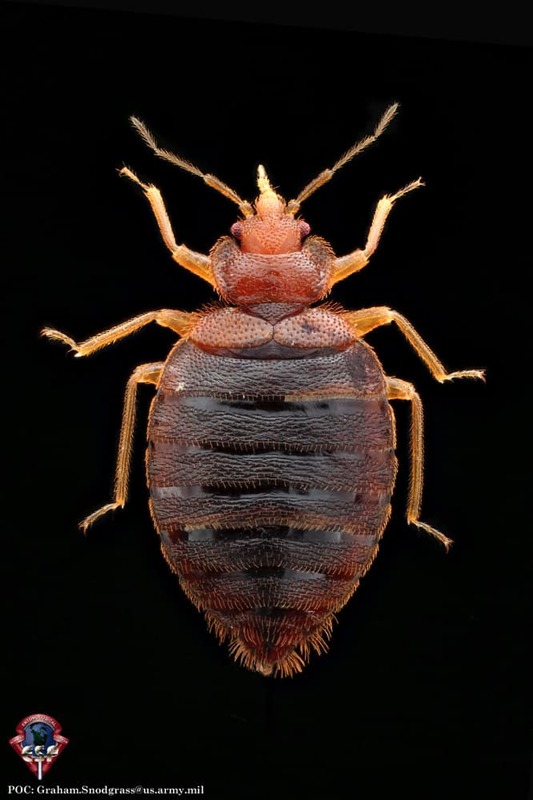 Add in all the dangers they face along the way, including poor environments and shoes, and you’ll find bed bugs aren’t able to spread quickly on their own at all. So how do the bed bugs spread from place to place? They use human modes of transport. They ride in cars, take the subway, and fly in airplanes. No, they don’t drive or buy tickets: they hitch a ride with you. The idea of a bed bugs traveling with you is a gross thought for most people. It’s one thing to have a bed bug problem in a hotel; it’s another thing to have a bed bug problem yourself. Yet again, there’s good news. Bed bugs don’t travel on you. Bed bugs prefer a moderate climate. Think 70 degrees and sunny. Extreme temperatures don’t sit well with bed bugs. It’s why some people recommend using heat lamps or freezers to get rid of them. The normal human body temperature is 98.6 degrees Fahrenheit. It’s pleasant for you, but it’s a tropical heat wave for bed bugs. Your body is simply too hot for them to handle, so bed bugs aren’t going to live in your hair or on your arms or legs in the hope of getting around easier. It’s the equivalent of traveling in a sauna. It sounds enticing during those cold winter months, but after 15 minutes, you find yourself tumbling headfirst out the door gasping for air. Your body temperature is too warm for them, but your clothes and personal items are not. Bed bugs travel with you in luggage or backpacks. They’ll crawl in your clothes or into an empty bag and hitch a free ride to wherever you’re going, without offering to chip in for gas. Furniture is another common way bed bugs travel. Ever bought a couch or mattress from a seller on Craigslist? No one is saying your furniture has bed bugs, but moving furniture from house to house is a common way to spread whole infestations of bed bugs between buildings. Bed bugs also travel this way within your house. For example, bed bugs love bedrooms. There are plenty of places to hide and ready access to food because you’re in bed for five to eight hours+ every night. All they need to do is hide out all day and crawl up your mattress every few weeks to bite you at night. Bed bugs aren’t about to crawl around your house at their sloth-like place with the sole purpose of taking over. Though they will get into other areas of your house easily because you transport them there. Sheets and linens, laundry baskets, and your clothes will all bring bed bugs into other areas of the house. 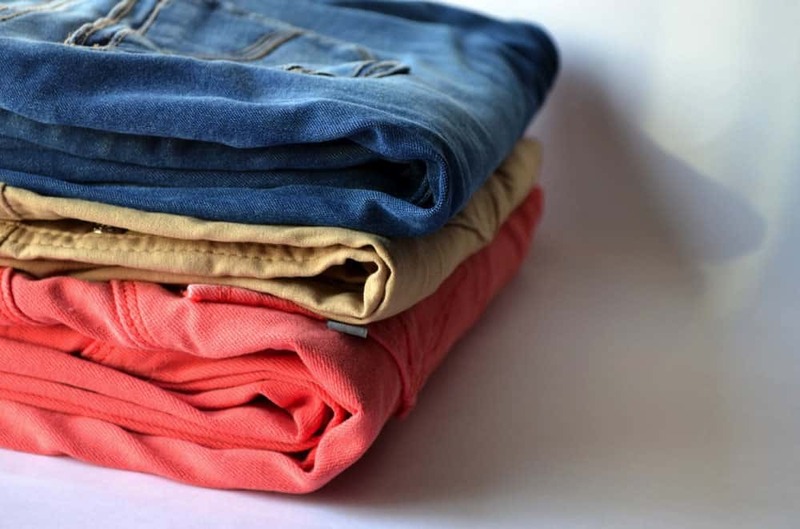 Spreading bed bugs through your house is particularly likely if you leave piles of laundry on the floor. It doesn’t matter if the pile is on the carpet or in an open laundry basket on the carpet; piles of linens are a holiday resort for bed bugs. Hence why if you have bed bugs hiding in your clothes piles and you then decide to wash your clothes and tidy up, you’ll end up moving those bed bugs to other areas of your house. Bed bugs are small and sneaky. As they are the size of an apple seed when fully grown, they’re easy to miss if they’ve snuck into a bag, a pile of laundry or a piece of furniture (but at least they're visible to the naked eye). What is more, bed bugs are a reflection of urban living. You’ll encounter them even when a house or hotel is cleaned properly and all conditions are sanitary. On account of this, how do you prevent them from spreading from place to place? Travel is now part of life for many people. Unfortunately, bed bugs are now part of life on the road. 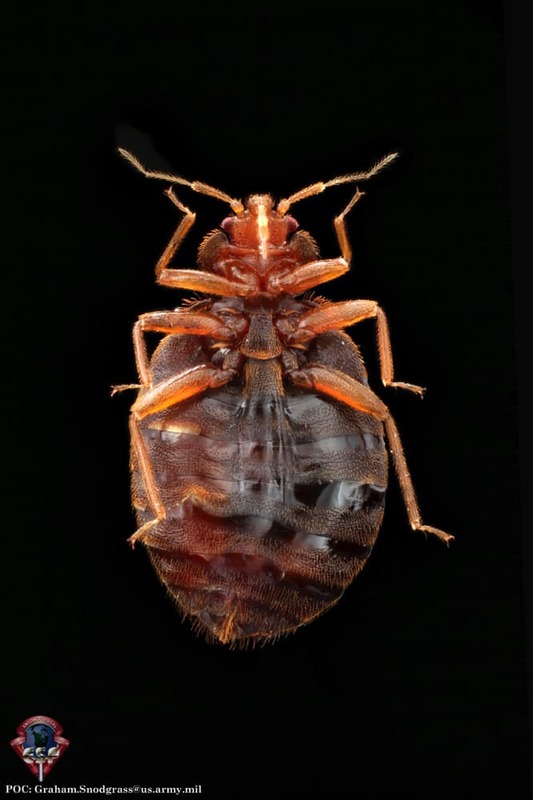 It doesn’t matter if you’re staying in a roadside motel or a five-star property in New York City, the prevalence of bed bugs means no property is safe. The first thing to do when entering a hotel room is to check the room for obvious signs of bed bugs. However, before the inspection gets under way, stash your stuff in the bathroom. Bathrooms are bleached, offer few hiding places, and are far away from the bed. Therefore, if you do find bed bugs, your luggage will be safe in there. Next, check the bed. 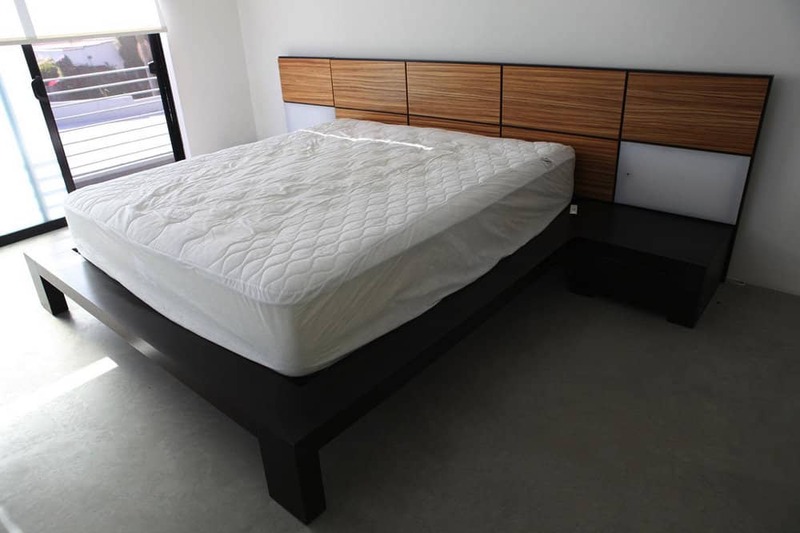 Look at the mattress and behind the headboard. Classic signs of bed bugs are little black dots (the bugs themselves), shed casings, poop, and blood stains. If you see something, say something. Hotel staff want to know if there’s a possible bed bug infestation. They should also be happy to move you to a new room if you do find something. Once you’re done, check the area around the bed. In most cases, bed bugs won’t travel further than 15 feet of the bed. Be sure to check any other furniture and the closets just in case. 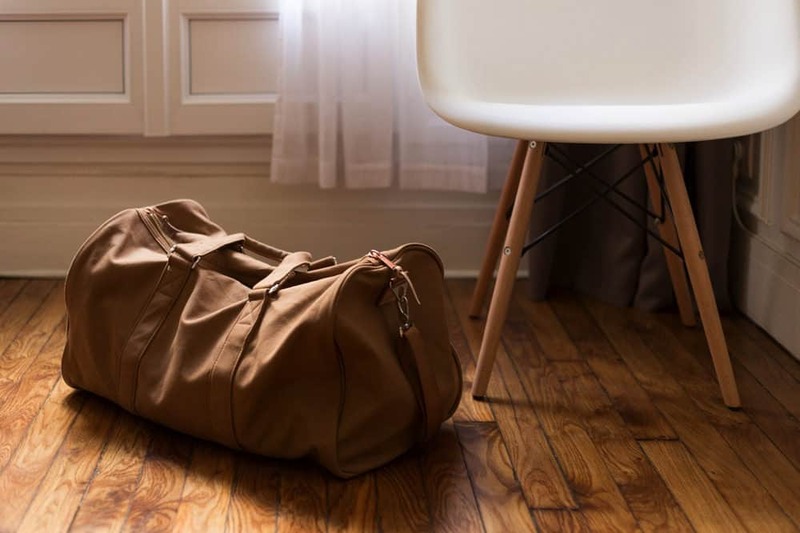 Even if you don’t find bed bugs, it’s always helpful to keep your suitcase on the luggage rack just in case. Keeping it off the ground keeps it out of reach of bed bugs and should help you avoid spreading them. Second-hand furniture is a great bargain, but it’s an easy mode of transport for bed bugs. The best way to avoid bringing bed bugs into your home via the furniture is by using common sense. 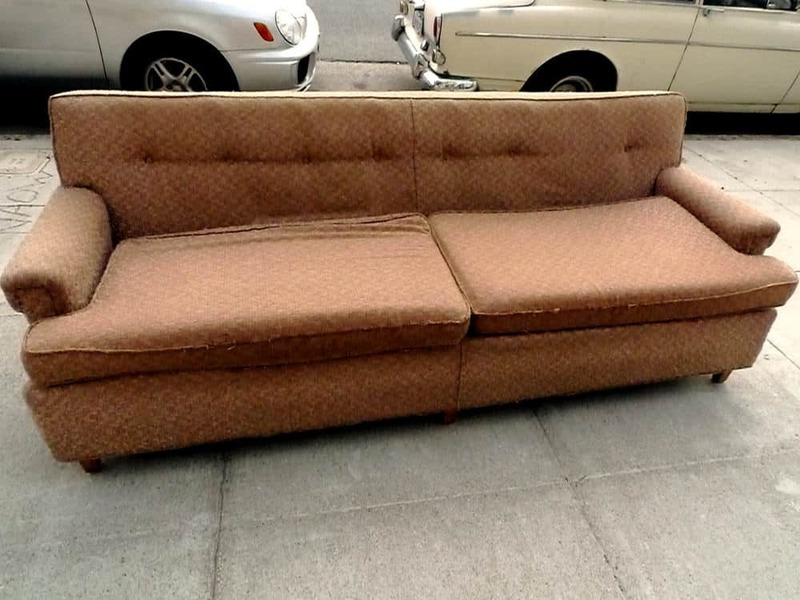 Don’t scavenge for furniture in alleys or dumpsters. They may be out there because their previous owner found bed bugs. 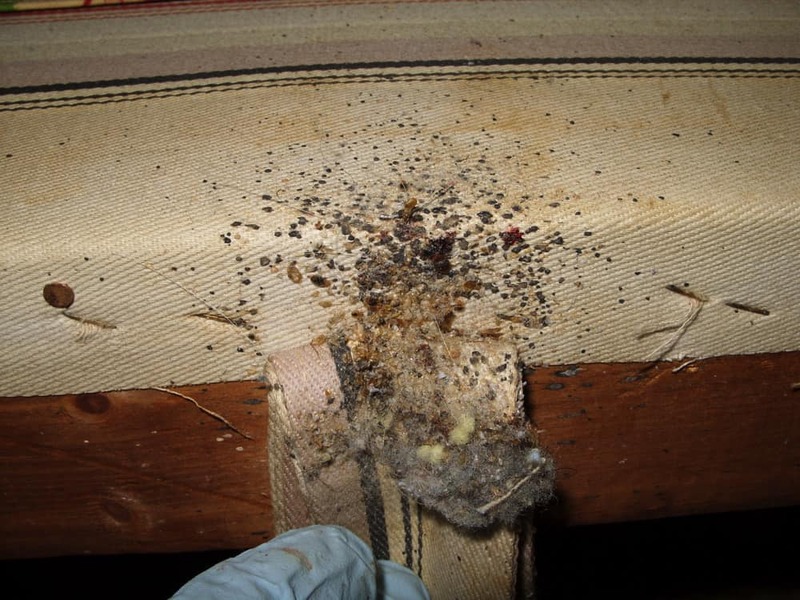 Still, bed bugs can be hard to see in furniture, especially once they move into the upholstery. As a result, you may find you aren’t able to detect bed bugs in all circumstances. 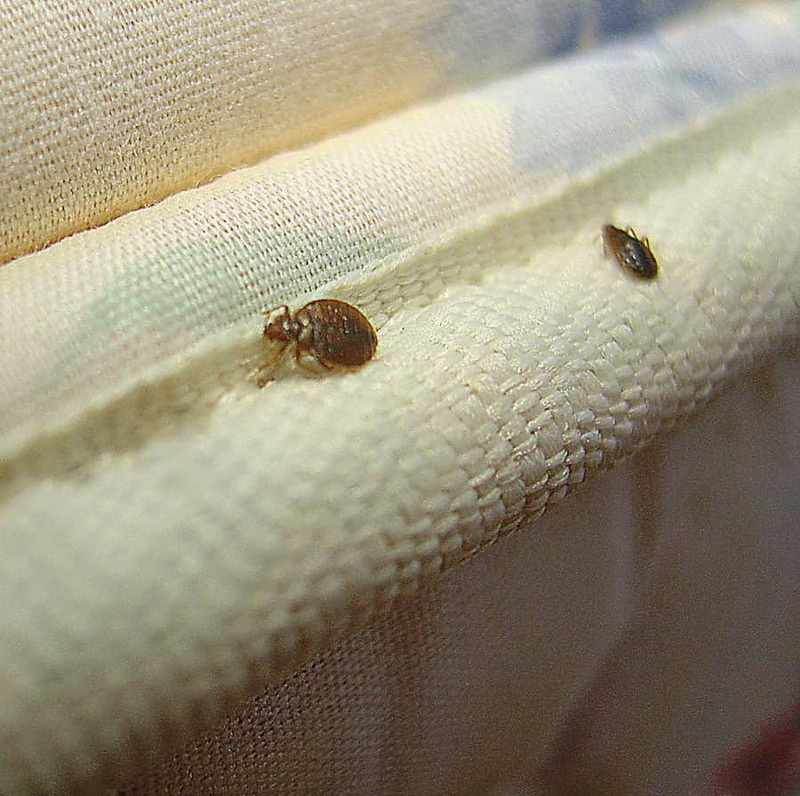 Getting rid of bed bugs on mattresses or other furniture is incredibly tricky at the best of times. Be sure to check the backs and undersides of all furniture. Look at joints, cracks, seams, and any holes with a flashlight. You might find either a bed bug or one of their eggs. Finally, if you see any tiny black spots on the surface of the furniture, it might have been in contact with bed bugs. They leave a small black spot after they’ve fed. If you have bed bugs in your home, you’ll likely need to seek professional treatment to get rid of them quickly and with minimal effort. Although, there are things you can do before and after the treatment to help minimize the spread of bed bugs. You’ll want to clean your linens and clothes on a regular basis. Be sure to wash out the laundry basket when you do to avoid inadvertently re-spreading the bed bugs. You’ll also want to vacuum on a regular basis and avoid leaving any piles of anything that makes a good hiding place around. Bed bugs don’t have wings, so they can’t fly. Still, they travel easily by hiding in luggage and furniture. They can be hard to spot outside of your home, but careful inspections will help you avoid accidentally spreading them.